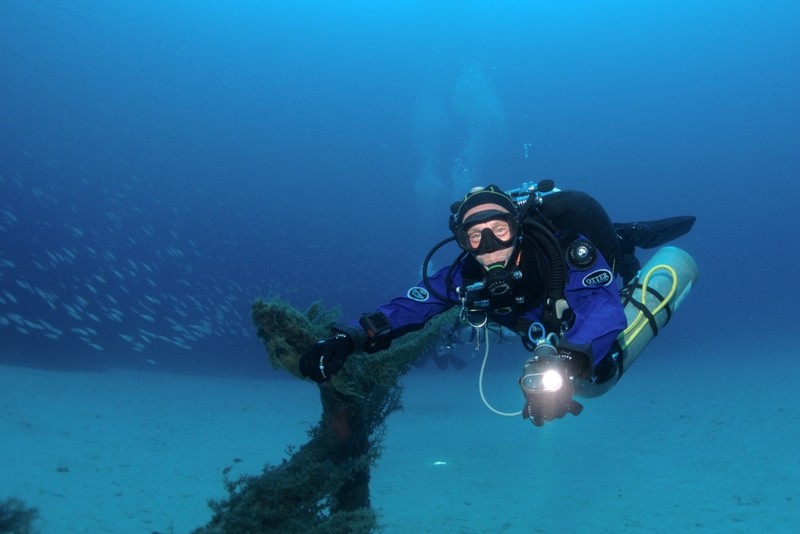 Steve hangs out near the Rozi anchor on our first deco dive of the day. Nice new dry suit, Steve! This work is licensed under a Creative Commons Attribution-ShareAlike 4.0 International License. Please attribute Kristaps, the photographer, with a link to kristaps.bsd.lv/photo0067.html.